It seems that spring will finally arrive in time for the weekend and there are so many ways to enjoy the beautiful weather in the 88th Assembly District. There are movies, music, lectures and plays. On Sunday I will be hosting the Tuckahoe Women of Distinction awards reception, during which we will honor a dozen great women. Here’s a closer look at some of the events that are taking place in the 88th. Have a good weekend and remember that if you have an event you’d like me to include in the coming weeks, send the information to Paulina@Assembly.State.NY.US. The Scarsdale Forum and Membership Meeting will take place in the Scott Room of the Scarsdale Library (54 Olmstead Road) at 7:30 p.m. This month’s discussion is “It Takes A Village: Scarsdale’s Emergency Preparedness”. Scarsdale Village Deputy Mayor Robert Cole will be one of the featured speakers. Visit scarsdaleforum.com for more information. The Friends of the Eastchester Public Library (11 Oakridge Place) Book Sale will host a member preview from 6-8 p.m. The sale continues on Friday and Saturday (9:30 a.m.-4:30 p.m.), Sunday (1:30-4:30 p.m.) and Monday (9:30 a.m.-2 p.m.). Visit eastchesterlibrary.org for more information. Ghost hunter Barry Pirro will discuss ghost hunting at the Bronxville Library from 6:30-8 p.m. Visit bronxvillelibrary.org for more information. Sarah Lawrence College (1 Mead Way, Bronxville) will host Dr. Jiro Oyama as he discusses his personal history of spending time in an American internment camp during World War II. He will also touch on the United States’ post-war occupation of Japan. Visit sarahlawence.edu for more information. The New York State Department of Environmental Conservation (DEC) is holding a public hearing on the proposed development of the former Marble Road quarry dump at 7 p.m. in Tuckahoe Village Hall (65 Main Street). Speak with Pelham Weekly/Pelham Plus editor Maggie Klein during her Talk with Maggie Sessions in Pelham. Klein will be at Renaissance Bagel (309 Fifth Avenue) at 8:15 a.m.; at JM Café (129 Wolfs Lane) at 9:30; and Bakery at Four Corners (4668 Boston Post Road) at 10:45. Visit pelhamplus.com for more information. St. Paul’s Historic Church (897 S. Columbus Avenue, Mt. Vernon) will host the Bronx Opera Company in a 3 p.m. performance that will feature arias and duets from classic operas. Visit www.nps.gova/sapa for more information. The 2016 Sarah Lawrence College Poetry Festival will take place from 6:30-10 p.m. at the school’s Heimbold Visual Arts Center Donnelley Film Theatre (1 Mead Way, Bronxville). It is the largest free poetry festival in New York and it will continue Saturday from 11 a.m.-7:30 p.m. and Sunday from 11 a.m.-5 p.m. Visit sarahlawrence.edu for more information. The Bronxville Historical Conservatory will present the Brendan Gill Lecture at Sarah Lawrence College’s Performing Arts Center Reisinger Auditorium from 8-10 p.m. Pulitzer Prize-winning historian and best-selling author Stacy Schiff will discuss The Salem Witch Trials: What Really Happened and Why It Matters in 21stCentury America. Visit sarahlawrence.edu for more information. The White Plains Performing Arts Center (11 City Place, White Plains) will host a production of the classic Gypsy. Show times are 8 p.m. on Friday and Saturday and Sunday at 2 p.m. Visit wppac.org for more information. ArtsWestchester (31 Mamaroneck Avenue, White Plains) will host “Fashion SHEek: Teens Take The Runway” at 7 p.m. This unique fashion show features a collection of dresses designed by the fashion students at Westchester Community College. Visit artswestchester.org for more information. The Older American Act Advisory Council and Senior Council New York State Office for the Aging will present “Respite for Caregivers” at the Westchester County Center in White Plains from 9-11:30 a.m. Visit wetchester.gov for more information. Onaje Allan Gumbs and Trio Plus will perform in Roscoe’s Room at Alvin & Friends Restaurant (14 Memorial Highway, New Rochelle) from 8-11 p.m. Visit alvinandfriendsrestaurant.com for more information. The Westchester Italian Cultural Center (One Generoso Pope Place, Tuckahoe) will host a lecture about Titian and Giorgione as part of its Art and Artist series at 6:30 p.m. Visit wiccny.org for more information. The Pelham Children’s Theater will perform The Wizard of Oz at The Pelham High School Memorial Theater (575 Colonial Avenue, Pelham) at 8 p.m. There will also be shows on Saturday and Sunday at 2 p.m. Visit pelhamchildrenstheater.com for more information. The Thomas Paine Cottage Museum (20 Sicard Avenue, New Rochelle) will host the Colonial Market Fair from 10 a.m.-5 p.m. Experience blacksmiths, coopers, candle dipping, Continental soldiers, colonial songs and storytelling, colonial toys and games. Join the one-room school house and school marm to discover an old-fashioned school day. The rain date is Sunday. Visit thomaspainecottage.org for more information. Shaarei Tikvah Congregation (46 Fox Meadow Road, Scarsdale) is hosting a Classical Cafe at 9 p.m. There will be live music with violin, viola, piano, clarinet and baritone, including performances by Cantor Gerald Cohen and pianist Alexandra Joan. Music by Beethoven, Gershwin, Schubert, and Cohen. Visit shaareitikvah.org for more information. 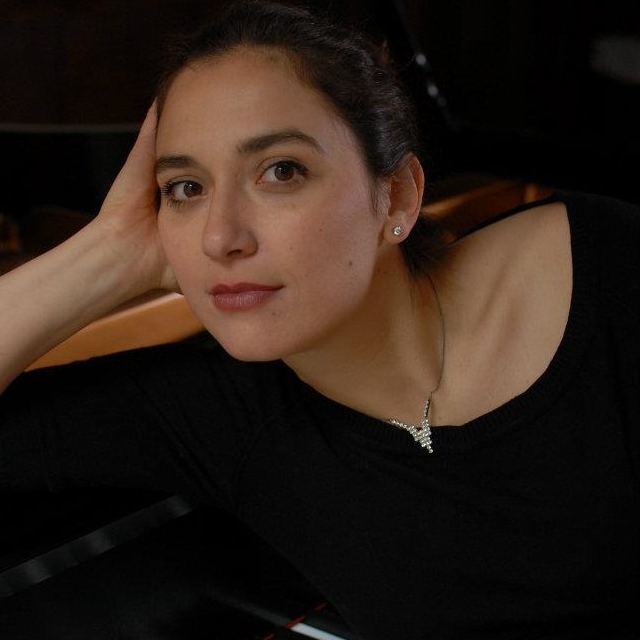 The Bronxville Women’s Club (135 Midland Avenue, Bronxville) continues its Midland Music Series with a 7:30 performance by pianist Oxana Mikhailoff. This month’s theme is “Fantasy Through The Years”. Visit bronxvillewomensclub.org for more information. The Woman’s Club of White Plains (305 Ridgeway, White Plains) will host a Scholarship Luncheon and Fashion Show for the benefit of White Plains High School students from 11:30 a.m.-3 p.m. Fashions from Lord & Taylor and LOLA New York will be featured. Visit thewomansclubofwhiteplains.org for more information. The Scarsdale Women’s Club (37 Drake Road, Scarsdale) will host its semi-annual tag sale from 9 a.m.-4 p.m. Visit scarsdalewomansclub.org for more information. The Sluberski Film Series at Concordia College (171 White Plains Road, Bronxville) takes place in the school’s Sommer Center at 8 p.m. Join a panel of experts as they watch and discuss “Most Likely To Succeed”. Visit concordia-ny.edu for more information. Inspired: The Pelham Art’s Center Spring Gala will take place from 7-11 p.m. at the Larchmont Shore Club (One Oak Bluff Avenue, Larchmont). Visit pelhamartscenter.org for more information. The Bartow-Pell Mansion Museum (895 Shore Road, Pelham Bay Park) will conduct a Volunteer Garden Cleanup Day from 10 a.m.-2 p.m. Visit bartowpellmansionmuseum.org for more information. Keyboardist James Farley and vocalist Inez Wilson will perform at Alvin & Friends Restaurant (14 Memorial Highway, New Rochelle) from 7:30-11:30 p.m. Visit alvinandfriendsrestaurant.com for more information. The New Rochelle Public Library will host a “Friends Mini Book Sale” from 11 a.m.-3 p.m. Visit nrpl.org for more information. The Axial Theatre of Pleasantville will hold its annual fundraiser at ArtsWestchester (31 Mamaroneck Avenue, White Plains) from 7-10 p.m. The show will feature selections from Stephen Sondheim’s Tony-winning Broadway musical Compan Visit www.axialtheatre.org for more information. ArtsWestchester (31 Mamaroneck Avenue, White Plains) will host Beyond Wonder Woman: Make Your Own Action Hero at 1 p.m. Here’s your chance to create an action-hero figurine and tell his/her story. You can also design your own action hero accessories. Visit artswestchester.org for more information. The Pelham Spring Cleanup will take place from 10 a.m.-noon at the Pelham Metro North train station. The event is sponsored by the Environmental Coalition of the Pelhams (EcoPel). Contact Amy Dunkin at 914-441-2229 or David Brown at 917-903-9051 for more information. I will be hosting the “Tuckahoe Women of Distinction” awards reception at 4 p.m. at The Tap House (16 Depot Square, Tuckahoe). We will be honoring a dozen women for their fine working in helping make Tuckahoe a better place to live and work. Visit assemblywomanamypaulin.wordpress.com for more information. The Bronxville Women’s Club Family Bike-A-Thon and Fundraiser will take place from 9-11 a.m. and begin and end at the club (135 Midland Avenue, Bronxville). There will also be a scavenger hunt. Visit bonxvillewomensclub.org for more information. Scarsdale-based Shaarei Tikvah Congregation will join with Groundwork Hudson Valley and take part in the Great Saw Mill River Cleanup from 10 a.m.-1 p.m. The Shaarei Tikvah community will collect trash from the river and its shores. Visit shaareitikvah.org for more information. The Eastchester Historical Society’s annual meeting will take place at 2 p.m. at The Marble Schoolhouse (388 California Road, Bronxville). The speaker will be Blake Bell and he will discuss “Through the Years – The Connection between Pelham and Eastchester.” Visit eastchesterhistoricalsociety.org for more information. The Play Group Theatre (1 N. Broadway, White Plains) presents “A Little Princess” in performances at 2 and 7 p.m. Separated from her father, and the open-hearted Africans who have helped him raise her, young Sara Crewe is sent to boarding school in London. This is her story. Visit playgroup.org for more information. The Bartow-Pell Mansion Museum (895 Shore Road, Pelham Bay Park) will host “Poetry in the Parlors” at 4:30 p.m. Rachel Eliza Griffiths will read from her book Lighting the Shadow and Victoria Redel from her work Make Me Do Things. Visit bartowpellmansionmuseum.org for more information. The Westchester County Center in White Plains will host the NY Metro Reptile Expo from 10 a.m.-4 p.m. Visit reptileexpo.com/white-plains.html for more information. 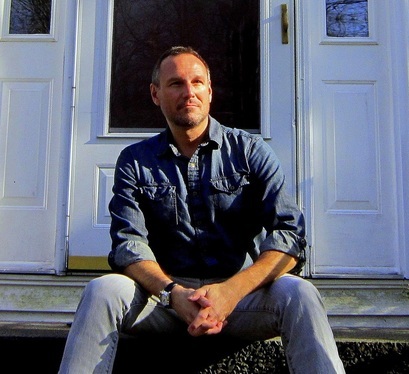 The Clarice Wilson Memorial Concert Featuring Adam Kent and Alejandro Mendoza will take place at the White Plains Library at 2 p.m. Visit whiteplainslibrary.org for more information. The New Rochelle Library’s Ossie Davis Theater will host the latest installment of its “Masterwork Concert Series” at 3 p.m. Pianist Matthew Harrison and Vlada Yaneva will perform “Frontiers of American Music”, a program that highlights how the boundaries of American music were pushed as the frontier stretched across the country. Visit nrpl.org for more information. The Friends of the Scarsdale Library will present the “Swingin’ Sunday Concert With Marilyn Maye” at the Scarsdale Library (54 Olmstead Road, Scarsdale) from 4-5:30 p.m. Visit scarsdalelibrary.org for more information. The New Westchester Symphony Orchestra Intergenerational Concert will take place at White Plains High School (550 North Street, White Plains) at 3 p.m. The concert will feature musicians from ages eight to 88. Visit newsymphony.org for more information. The Hoff-Barthelson Music School (25 School Lane, Scarsdale) Master Class Series continues with a 2 p.m. performance by violinist Lucie Robert. Visit hbms.org for more information. The Hoff-Barthelson Music School Artist Series will continue at the Greenville Community Church (270 Ardsley Road, Scarsdale) when flutist Donna Elaine performs in a 5 p.m. concert. Visit hbms.org for more information. The Music at Asbury presents The Asbury Summer Theatre at the Asbury United Methodist Church (167 Scarsdale Road, Tuckahoe) at 3 p.m. The alumni of Asbury Summer Theatre will conclude the second season of the Music at Asbury concert series. Visit musicatasbury.com for more information. The Pelham Jewish Center (451 Esplanade, Pelham Manor) is collecting gently used items from 2-4 p.m. for its annual tag sale, which will take place on May 22. Contact Darren Lee at copyusany@aol.com for more information. For information about these and other events in our area, please visit http://www.burbio.com/lists/district-88-events.